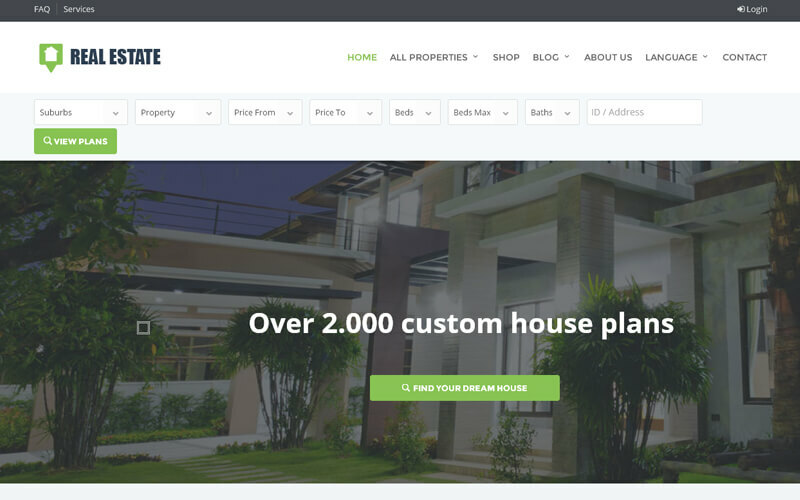 Our realestate portal PHP script is a web portal script designed for realty agents, realtors and brokers to sell, buy, trade, rent and sub-letting their client’s property through online. We have established this script under main peculiarity of an extra-ordinary search engine which saves your golden time. You can search for your favorite via, this search engine by providing the following keywords as suburbs, property, price limit, address, and limitation in number of bed and bathrooms. The another amazing feature of this property rental software is if the customer is the one who is searching for a land or property, then the plan is apt for the selected land that will be merged with the property details. You can landscape the properties under some categories like rural, rental, land, business, or commercial land. This brilliant categorization by our expert team will comfort you to search your desired property from the home page itself by a single click. There is an option of uploading the image and videos about the property, download the whole plan as PDF, share via email or any other social media and add to cart which are all admired by the user. There are also some features like responsive design, PayPal payment integration, easy installation, listed gallery form, property management, quick link management, rejuvenated status management and progressive CMS management, multi-language support, multi-currency support. Through admin, you can supervise all the functionalities of this real estate portal script. We offer a fully open source code which benefits for you so that you can customize the whole script by your own via your extreme technical knowledge. We will always abaft you for your guidance via our team of customer support. Hello, I am really impressed with the script named property rental script that contributed from PHP Scripts Mall. After that I have proposed to the concern person about my interest and they contact us and co ordinate till installation of the script. Thankful greeting for your entire team. I’d love to hear when this script will be updated with miles instead of KM and more efficient photo viewing as I’m interested in purchasing. Fabulous job team. Really appreciate able team work. Friendly customer support.